Rose Hydrating Mist from cult Aussie brand MV Organic is the one product Rosie Huntington-Whitely can't live without. In fact she's such a fan, she recommended it to fellow model Daisy Lowe to stop her skin drying out. Rosie's right - trust us, nothing feels better than spritzing this onto parched skin after a wearisome night flight - it's incredibly refreshing and relaxing. 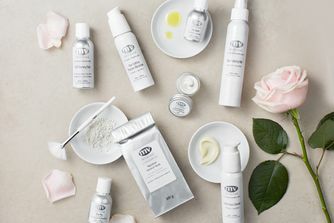 MV Organic Skincare's philosophy is 'fewer ingredients but in higher concentrations' and Rose Hydrating Mist is a perfect example, as it simply contains Rose Floral Water. With its delicate rose petal scent, the mist delivers extra hydration to your skin before you put on your moisturiser, soothing it and locking in moisture so it's not over-burdened with too much product. It's ideal for sensitive skin and rosacea and gives skin a dewy finish. Keep one in the fridge all summer for cooling shot! Fine spray - refreshing, nourishing, perfect. Sometimes mix it with my other care products - but always have one in my bag for in between spritz. I spritz this on before using my day cream (Rose Soothing & Protective Moisturiser) and night cream (The Blue Cocoon) and it seems to do a good job in helping my skin absorb the moisturizer and it smells really good. That being said, I'm not sure if I can't live without this...and I will probably give other mists a shot to find my five star mist. I bought this item on a whim after trying various skin care mists. This one exceeds them all, so much so that once I has finished it all up I felt my skin was really lacking in moisture and immediately repurchased. I now keep back up's so I don't have to be without it. Hydrates, soothes and smells beautiful. Nice smell, but there are many rose waters on the market doing similar job I am not convinced and will not buy again. Incredible and amazing toner, I have tried so many brands before and never have this feeling! It's moisturising, softens your skin to silky soft, it has a refreshing, cooling effect after you spray on your face. Highly recommend this, smells a nice rose fragrance too! I think that it's good for sensitive skin like myself, it absorbs into your skin very quickly as well. I feel like I'm completely addicted to it after just 1 spray!! What can I say that hasn't already been said about this product, except that I absolutely cannot do without it. So very glad I discovered this beautiful brand. I was very sceptikal about this product, and If it would live up to my very high expectations. This a super-model skin in a bottle, left my skin feeling baby soft, can't give one reason not to buy this product!!! I preferred to use the mist like a toner, and found it to be refreshing, uplifting, hydrating and perfect to apply before a serum or Rose Soothing & Protecting moisturiser to seal in moisture. Smells incredible, is a nice hydrating layer under my serum morning and evening, and makes for a very nice refresher moment mid afternoon at my desk. Highly recommended! I use this as a toner – super-hydrating, refreshing and perfect to apply before serums etc. to seal in moisture. This is a very nice product to hydrate my skin. the nozzle is amazing.. it spritz the finest mist on my skin., oh divine! I love most products in this line however this one really is sadly rose scented water. There is nothing hydrating about it. 5 stars for a wonderful smell but 1 star for hydration hence 2 stars overall. I bought this to use in conjunction with the Rose Soothing and Protective Moisturiser. I spray this over my face and then massage in a small blob of moisturiser and I find it just allows the product to spread so much more evenly and allows you to use less. It's beautifully refreshing for a quick spritz during the day, and smells divine. Overall I think you can definitely sense the quality in it compared to other cheaper rose water products. I have to take 8 flights a month for work, and several are long-haul. I have tried dozens of hydrating mists, but none come close to this. When I spray it on regularly during a flight it refreshes me instantly, and if it's a short haul flight and I'm wearing makeup, this makes it look fresh and dewy. I truly cannot rate this highly enough! 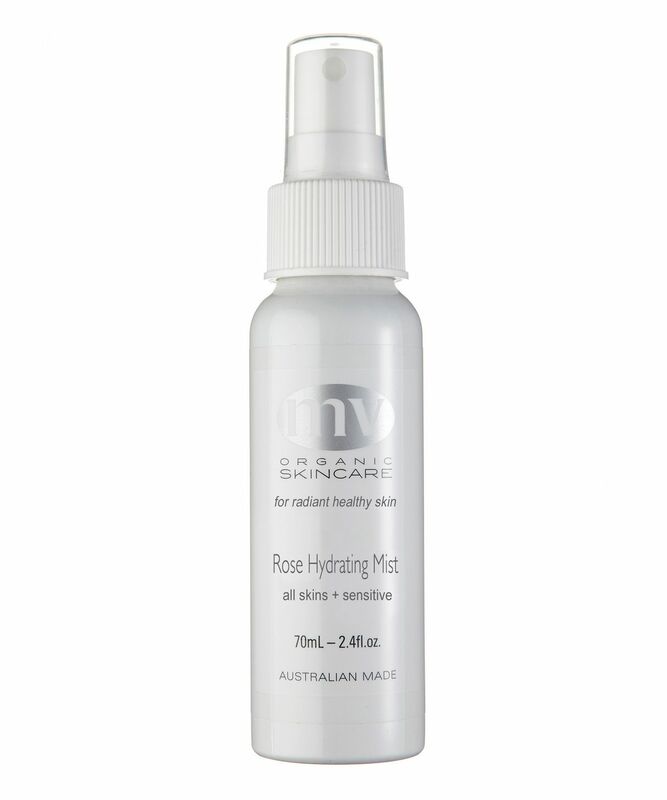 Hydrating mist smells like roses and lasts ages. It's been my trusty side kick in the city heat, I recommend it to anyone and everyone! This mist smells like fresh roses, and is very refreshing. I like to damp it on my skin first before using the MV moisturizer. Also, great for taking it on the plane during a long journey. This mist is so refreshing. It just wakes me up. This face mist is lovely in many ways. The spritz is just right; covers the whole face and isn't too harsh. Feels soothing and hydrating on the skin which is perfect after peeling or exfoliating. 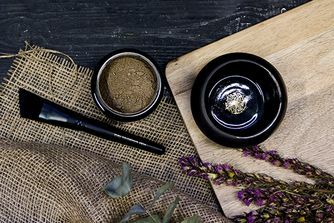 The scent is wonderful and the whole brand is organic and handmade by hardworking women!